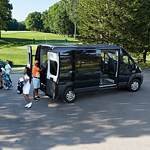 When drivers ask us to point them in the direction of a cargo van that is capable of handling anything that the world may throw at it, we almost always suggest that they take a look at the new Ram ProMaster. A quick look at this van's long list of capability features leaves little doubt as to why it is one of the most popular vehicles in its class. The SXT comes with a 3.6-liter V-6 engine that's equipped to an 8-speed automatic transmission. Get a little more power with the R/T, featuring a 5.7-liter V-8 engine attached to an 8-speed automatic transmission with fuel saver technology. The Jeep Wrangler is considered one of the most popular compact SUVs on the market. At Norris Northup Dodge, you can explore the exterior features of the vehicle on your own. It is rugged with some amazing exterior colors to choose from. There are a few signature features that are still present on the Wrangler. You’ll notice that the headlamps are rounded and there is a seven-slot grille on the front. In the back, there’s a full-sized spare tire as well as tail lamps that look bolted into place. During towing jobs on rough roads, a Dodge Journey can help you reach your destination without damaging the cargo. If you encounter road hazards along the way, the Journey's highly sophisticated hardware will make strategic adjustments to protect everything on a trailer. The Dodge Journey has two features that simplify towing jobs. Dodge's Electronic Stability Control activates when the Journey maneuvers along streets that have hazards. If this system detects a problem, it will implement procedures to decrease engine power by automatically applying the brakes. 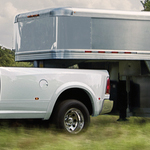 The Norris Northup team proudly offers the Ram 1500 for sale. This light-duty pickup features a memorable exterior. We want to share with you a couple of things we like about that exterior now. Ram builds the 1500 to move the air around it more easily than its competitors. It carries thoughtfully designed lines that begin at the truck's nose. On that nose, you will find a grille that looks memorable and assists with the 1500's efficiency. Shutters within this grille automatically close at high speeds. Are you concerned about the interior of the vehicle that you drive and the kinds of features that it offers? If so, check out the popular subcompact SUV from Jeep that is the Renegade. This vehicle was designed with people like you in mind and it has an excellent interior. If you are particular about the kind of finish that you want the seats of your vehicle to have, you will appreciate the fact that the Jeep Renegade allows you to upgrade those seats. There is a premium mesh option that is available for the seats of this vehicle. Jeep Wrangler Puts Safety First! The Jeep Wrangler is a compact SUV that is popular among people who drive a lot and love adventure trips. We at Norris Northup Dodge in Gallipolis are well informed about all of the safety features Jeep has to offer in the Wrangler. Some features that are great to have on a road trip are Trailer Sway Control and the full-size spare tire. The all-new RAM 3500 is no stranger to power. It is built ready to tackle anything you can throw at it, and strong enough to take it anywhere you need to go. The Jeep vehicles at Norris Northup Dodge have been selected because of their reliability as well as their ability to perform on different surfaces. Among the vehicles that are built for exploration is the 2019 Jeep Cherokee. The settings of this vehicle make it easy for people to handle various surfaces other than paved roads. The 2019 Jeep Cherokee is proud to offer the driver the on-road suspension feature with the independent front and rear suspensions built into the vehicle for exceptional handling because of the weight and make up of the vehicle. If you're looking for a durable cargo van that really delivers on value and durability, look no further than the Ram ProMaster. This vehicle comes with not one but two manufacturer's warranties so you can drive with confidence. The ProMaster is backed by Ram's 3 year, 36,000-mile limited warranty and a 5 year, 60,000-mile gas powertrain limited warranty. It also has an impressive 10,000-mile oil change interval that will save you time and money. Invest in a cargo van that can handle Gallipolis winters.